The M154LC10 Engine Controller is designed for electronically governed T4i and T4F Engines. 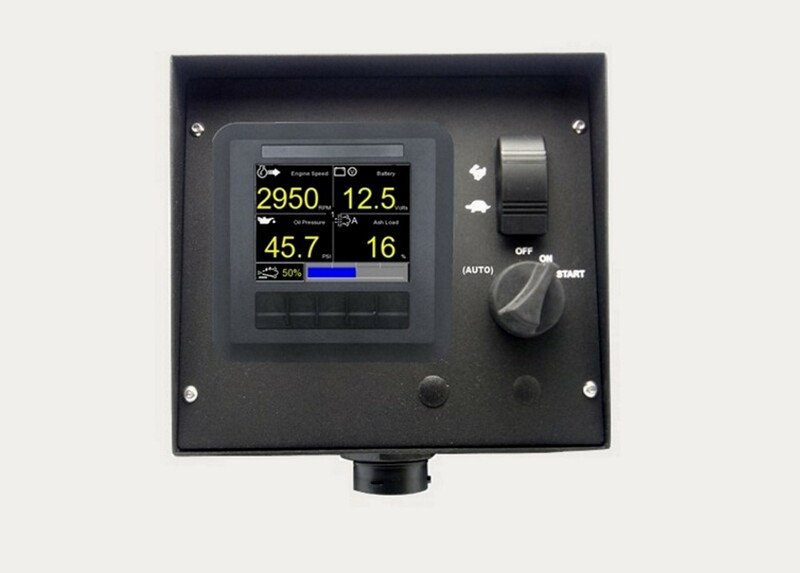 Enclosure measures 8" x 7" and consists of: 3.5" Color LCD display, sealed ignition switch, throttle switch and interconnect harness. It has plenty of analog and digital inputs as well as discrete outputs for almost any application. Ideal for use in Industrial Applications including Pump, Generator and Auxiliary Engine applications. Standard features include: Active and Stored alarm viewing, multiple language support, User programmable engine shutdown via alarm.